Czech company based in Pisek. The company focuses on publishing and merchandising products, mostly fun and creative books with popular children's motifs. For many years, they have been cooperating with both domestic and leading foreign licensors (Walt Disney, Star Wars, Hello Kitty, Krtek, etc...). The philosophy of the company is to provide the market with high-quality, useful and aesthetically pleasing products. Key markets, besides the Czech Republic, are Slovakia, Hungary, Belgium, Great Britain, France, the Netherlands and Germany, and more countries are constantly appearing. We were implementing Easy Project to the headquarters and the creative department where many different products are being designed at the same time. To keep this process fluent, use the resources effectively and ensure the delivery in time, reliable tools are needed for the management, coordination, and communication. The projects used to be managed in Redmine which was slightly enhanced by the client with a couple of useful modifications. 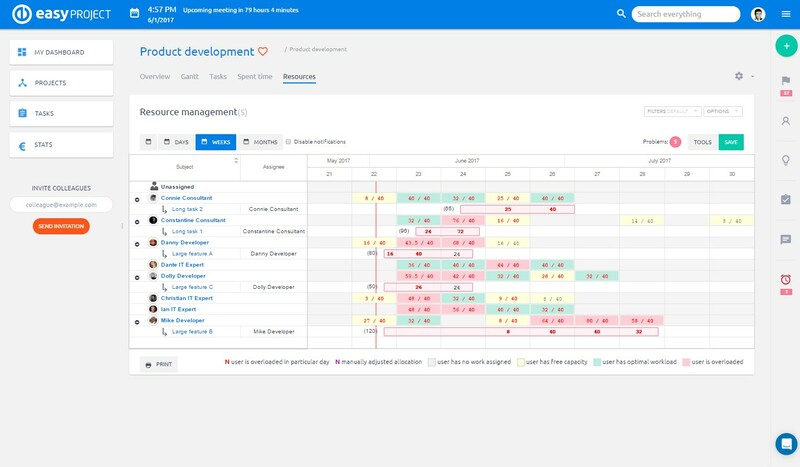 Other departments of the company are using Microsoft Dynamics NAV to organize they work and keep the data there, the systems (Redmine and NAV) were interconnected to enable and automate the communication between the departments. Technically it worked the following way: Once a new project was set up and defined in NAV there was an option to transfer these data to Redmine creating thus a new project with certain attributes there. Redmine has become a useful tool which was helping to organize work in this company. The projects JIRI Models work on are very similar and the project structure in Redmine was kept simple. Projects used to be broken down in 4 or 5 tasks and these were identical or similar for each project. A task used to be passed between multiple assignees during its lifecycle depending on whose turn it was to take an action on the part work packaged in this task. Like this a task used to be noticed and monitored only by its current assignee. To keep track of tasks the default “my tasks” filter in the Redmine personal dashboard was used. Even though the system used to work well for some time it proved to be insufficient to keep up with the innovative plans and strategies of the company’s management. These strategies have been especially focused on bringing more transparency and clarity to the whole process, the ability to predict or spot the causes of delays on the project and address the responsible people as well as on implementing an efficient resource management planning, etc. The expected benefits would certainly be a faster and smoother delivery process and getting solid data to develop other internal tools and mechanisms to increase the motivation and satisfaction of the employees. Before the implementation had started the managers of JIRI models had already had a clear idea about the new process they were about to implement and how the workflow should ideally look like. First of all, we focused on implementing these process to the system by creating a structure of tasks and to defining well its flow and permissions as well as the user interface for each group of users to make sure the right information will get to right people in time. 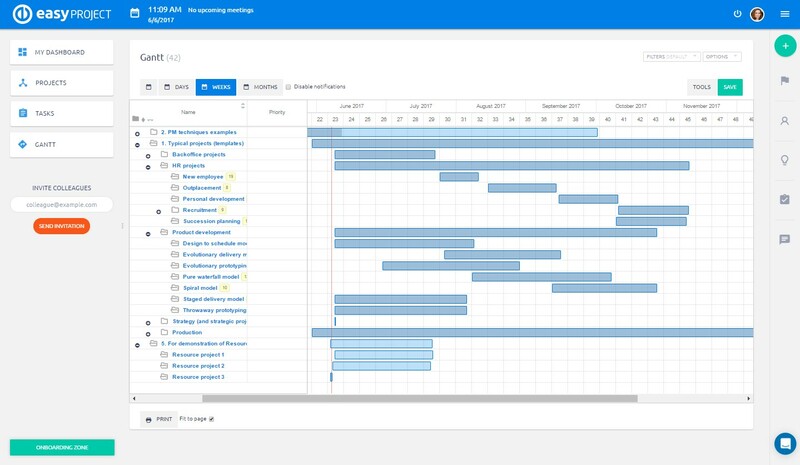 During the implementation we were also cooperating with various external partners of JIRI models to set up and improve the connection between Easy Project and Microsoft Dynamics NAV. The implementation required a lot of planning and designing upfront. This was due to the fact that all the production process was running in Redmine which was to be replaced by Easy Project right after the deployment in order to not to break the data continuity. All the projects have a similar structure. 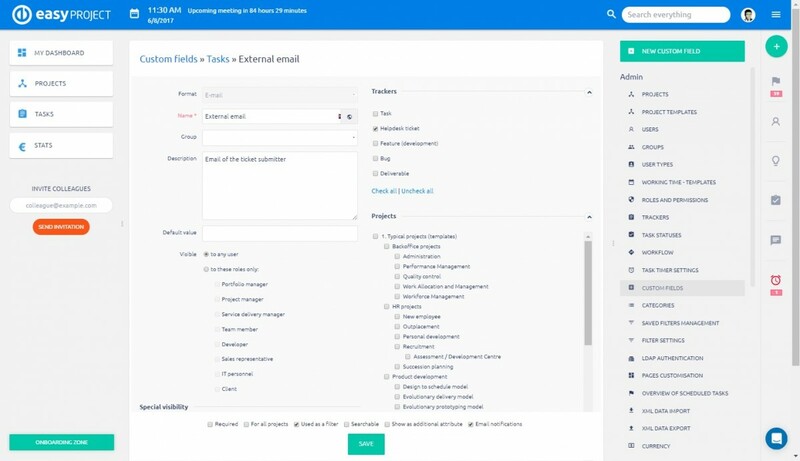 Unlike Redmine Easy Project enables to create project templates which are used as a base for a new project set up. In this case the most significant benefit of using templates is the possibility keep the tasks‘ structure, its relationships and description of each task there. We have set up a connection between easy project and Microsoft Dynamics NAV. When a new project is being created in NAV the relevant „type of project“ is selected in a custom field. This information is sent to Easy Project which chooses the project template for the new set up automatically, the data from NAV are transferred there. We have taken advantage of the core functions Easy Project offers and set up different types of tasks with different workflow. It means that the possible statuses for a task differs according the type of this task. Also, the sequence of the status is defined to help the users to identify the next step and the statuses can be used differently depending on the role of the user as they have different responsibilities. The statuses as well as trackers (types of tasks) were used for the personal dashboard setting to filter relevant tasks for each user. For example, a supervisor can monitor the status of the tasks to be done, to track separately those tasks were a feedback or approval is needed from his/her side, to identified those which are getting delayed, etc. Are used to calculate the difference between the expected and real costs of some supplies, to carry some project information on the task level. To allocate effectively the work on internal as well as external people while making sure nobody is overloaded. For monitoring and communicated the expected date of the project.